Homepage >> Cookie Cutters >> Cookie Cutters >> COOKIE CUTTER - Batman 3"
When The Joker shows up aiming to steal your cookies, there's only one hero to call! 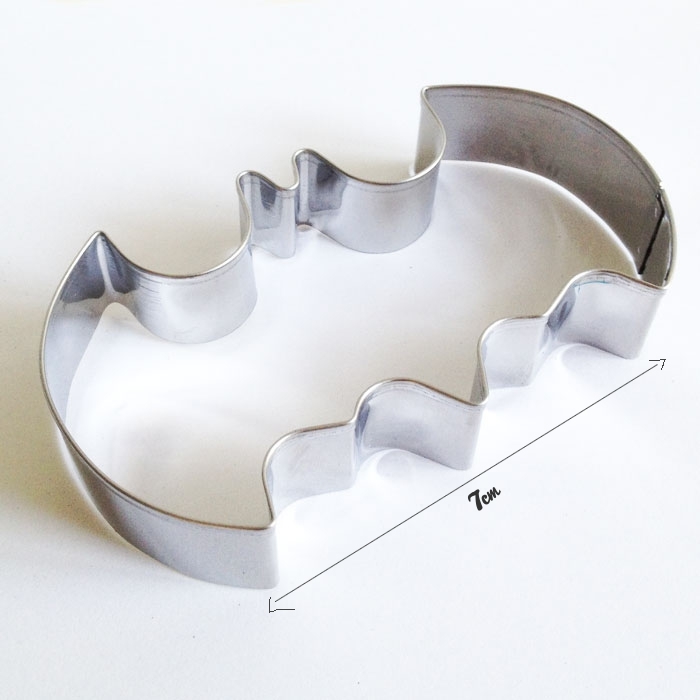 Slice up a batch of treats with the Batman Cookie Cutter in the shape of the bat signal, and the Cape Crusader may just be on his way! All of Gotham City's heroes and villains will want a Batman cookie. Just watch out for the Penguin, he sometimes leaves a lot of crumbs.